Two volumes (32 × 24 cm), I: viii, 403 pp. 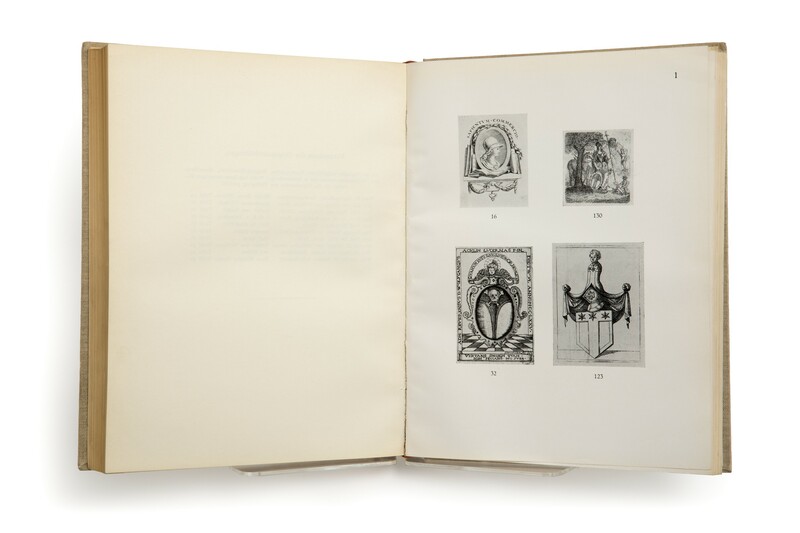 II: xii, 432 pp., 135 plates, 38 plates showing heraldic outlines. Uniformly bound in publisher’s beige cloth. 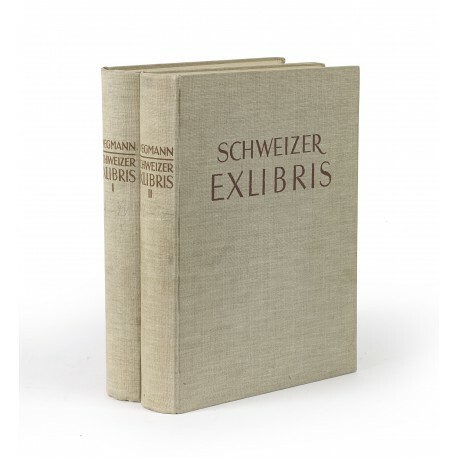 - A catalogue of more than 8000 Swiss bookplates, compiled by a prominent collector whose own collection is now in the University Library of Basel. Edition limited to 600 copies (this is no. 52 of 225 numbered copies distributed to the Société Suisse des bibliophiles). 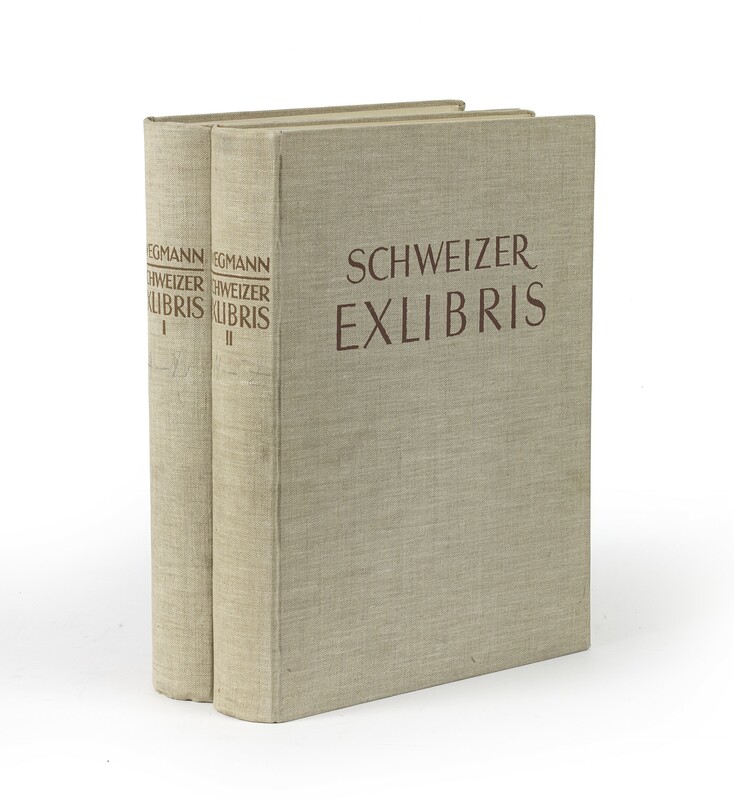 ¶ From the auction sale of the Handbibliothek L’Art Ancien, Zürich, conducted by F. Zisska & R. Kistner, Munich, 27-28 March 1984, lot 462. Spines lettered in pencil (A-L, M-Z); otherwise a fine, unmarked copy.